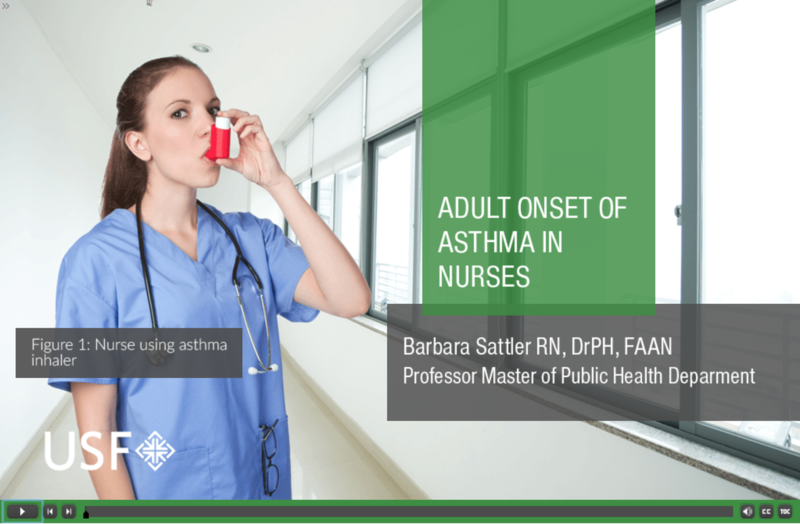 This lecture introduces viewers to the topic of occupational asthma among nurses. This lecture will identify asthmagens and asthma triggers commonly found in hospitals, and provide information on how nurses can reduces asthmagens and asthma triggers in healthcare settings. There are over 3 million registered nurses in the United States, and nurses are the second largest category of employees who are diagnosed with adult-onset asthma. 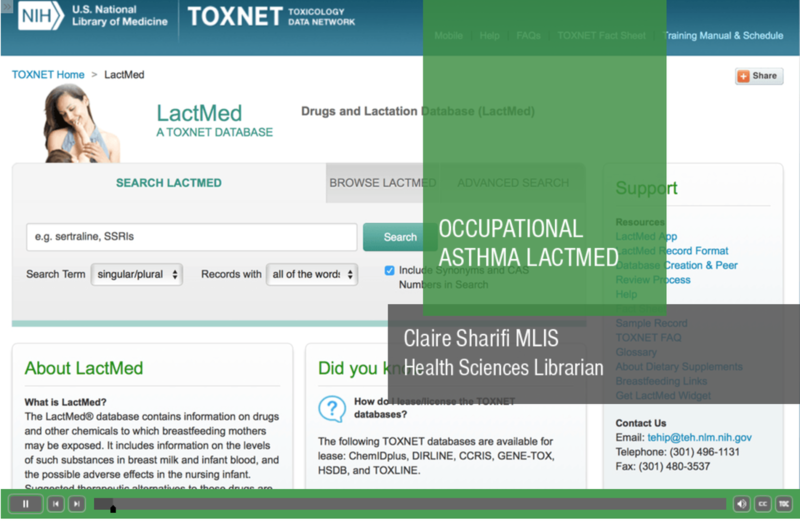 This lecture provides instruction on utilizing National Library of Medicine resources for finding information on occupational asthma. Specific resources discussed include HazMap, LactMed, and PubMed. This excellent online document (pdf) was created by Health Care Without Harm, a non-governmental organization focused on creating environmentally healthy and sustainable hospitals and other health care facilities. From United States Department of Labor, Occupational Safety & Health Administration. Information about employers responsibilities & workers rights. Includes information for whistleblowers as well as contact information for OSHA and information on filing a complaint. From the National Heart, Lung, and Blood Institute. Information for employers, employees, and worksites on occupational asthma. From the National Library of Medicine. Patient/consumer health on occupational asthma. This excellent online document was created by Health Care Without Harm a non-governmental organization focused on creating environmentally healthy and sustainable hospitals and other health care facilities. Use HazMap to investigate a friend or family member's job or job tasks. 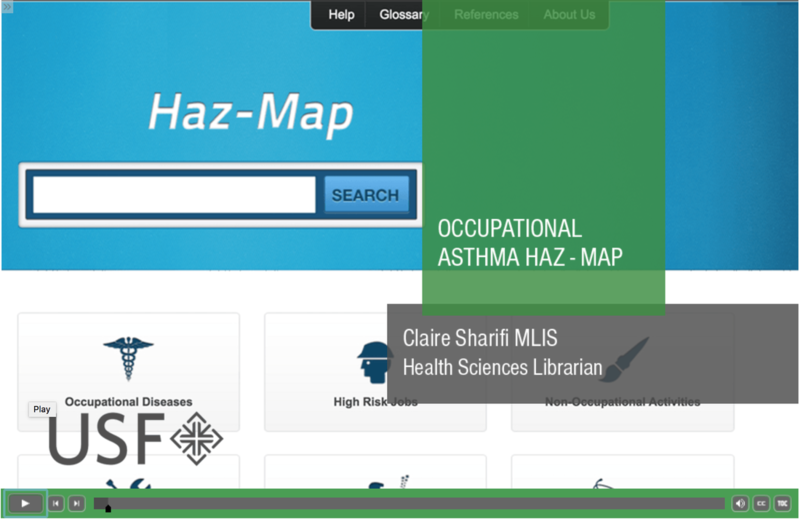 Explore the HazMap's biomedical references links to find more information in PubMed. Or explore the LactMed site and use the hyperlinked PMID numbers to get back to the original evidence in PubMed. 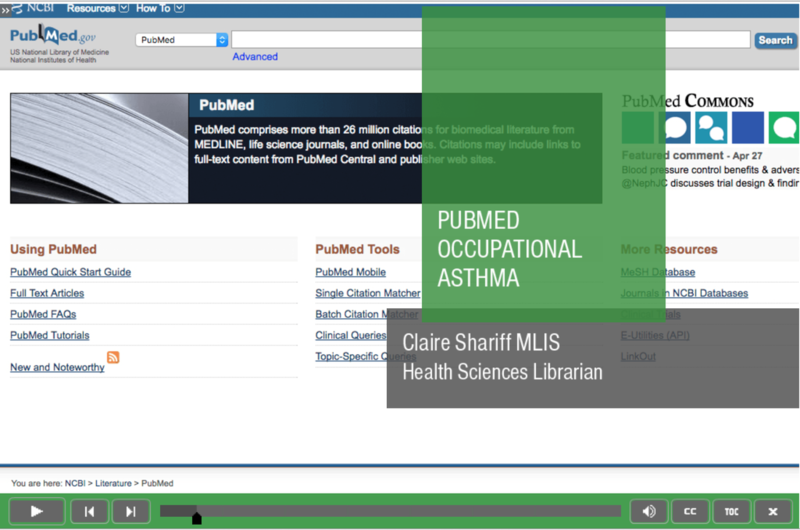 Apply some of what you learned in the PubMed screencast to expand your search. What did you find? Click "Start a topic" to join the conversation.